Home / Historic Replicas Store. / Wooden Items. 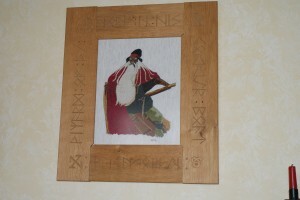 A Scandinavian Wizard Embroidery with a wooden frame with carved runes saying ‘ Vainamoinen, Wizard of the North in his copper boat’. 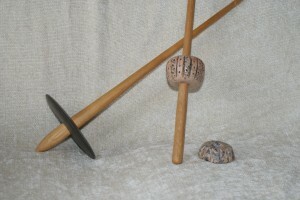 Wood and soapstone / slate drop spindals. 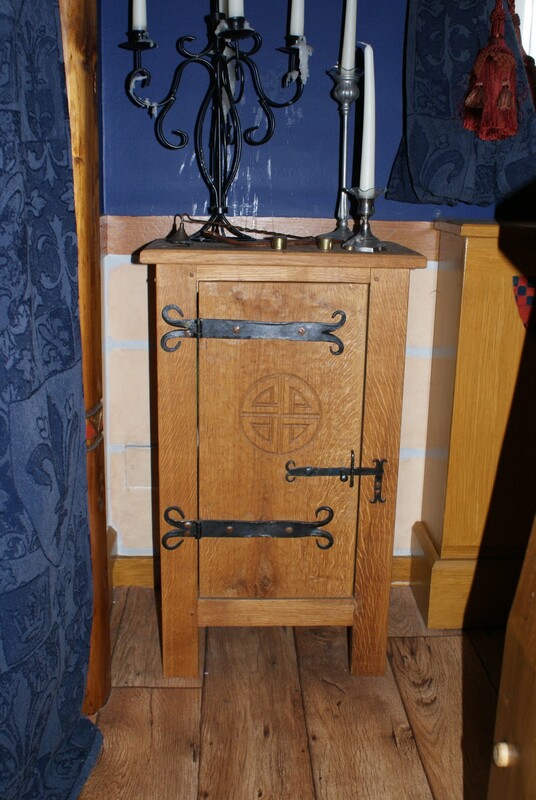 A Cupboard carved with a shieldknot and metal hinges and latch. 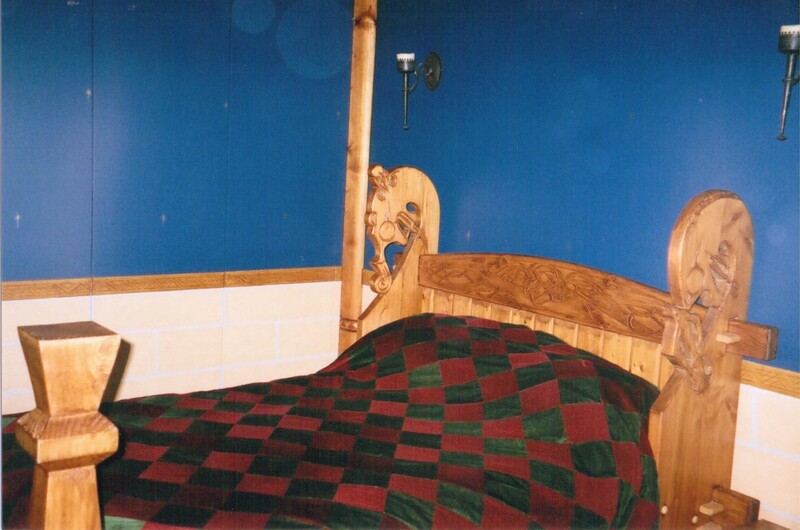 A Viking Bed made in the style of Queen Asa’s Viking Ship buriel bed. 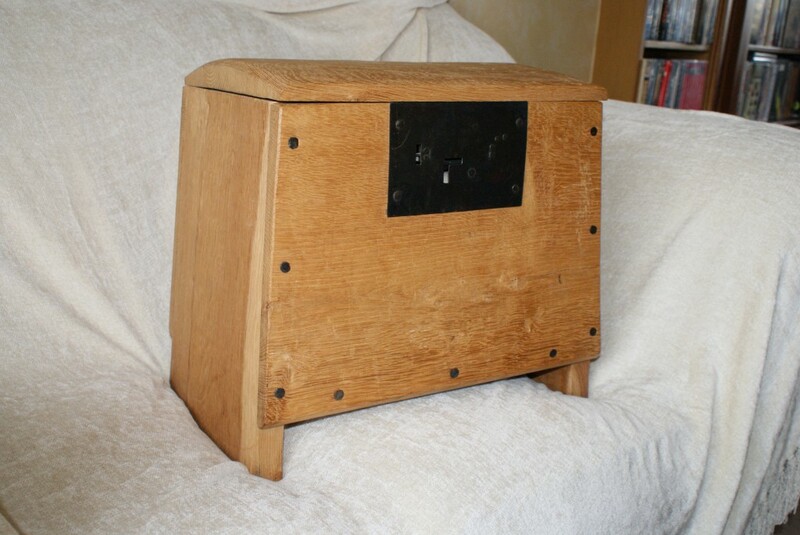 A small viking chest with metal lock.